Senior Iranian officials, including the country’s president, celebrated the deal as a victory for the country. Iran’s state controlled media quoted President Hassan Rouhani as saying that the deal will "remove all sanctions while maintaining [Tehran’s] nuclear program and nuclear progress." In what is being viewed as a new development, European countries and potentially the United States agreed to "cooperate with Iran on the implementation of nuclear security guidelines and best practices," according to a copy of the agreement furnished by both the Russians and Iranians. This will include "training courses and workshops to strengthen Iran's ability to prevent, protect and respond to nuclear security threats to nuclear facilities and systems as well as to enable effective and sustainable nuclear security and physical protection systems," according to the text. Additional "training and workshops" would work to "strengthen Iran’s ability to protect against, and respond to nuclear security threats, including sabotage, as well as to enable effective and sustainable nuclear security and physical protection systems," the text states. "The United States and its partners have just become the international protectors of the Iranian nuclear program. Instead of rolling back the Iranian nuclear program, we're now legally obligated to help the Iranians build it up and protect it," said one Western source present in Vienna and who is apprised of the details of the deal. "Now the international community will be actively sponsoring the development of Iranian nuclear technology," Omri Ceren, an analyst from the Israel Project (TIP), wrote in an email to reporters. "And since the work will be overseen by a great power, it will be off-limits to the kind of sabotage that has kept the Iranian nuclear program in check until now." 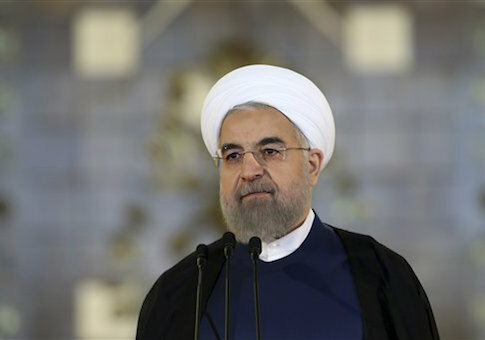 Iran will also move forward with work on its advanced centrifuges and also "continue its nuclear research and development," according to Rouhani’s comments. "All our goals materialized under the deal," Rouhani said, according to Fars. Rouhani went on to say that Iran "will scrutinize implementation of the agreement" to ensure that the United States and other world powers uphold their end of the bargain.